Mercedes-Benz and the Children’s Cancer Hospital 57357 are providing treatment to a bigger number of children saving hospital beds. In line with Mercedes-Benz corporate social responsibility, Star Care Egypt recently donated two new B-class vehicles to the Children’s Cancer Hospital Egypt 57357 to continue the heartwarming “Home Care” medical service first launched with Mercedes Benz in 2009 in Egypt. The donation of two B-class cars is an upgrade of the initial donation of two A-class models donated by Mercedes-Benz at the onset of the Home Care program. The new cars will be fully equipped with all the required medical instruments and medications necessary for in-home visits to children, as well as an experienced nurse in pediatric oncology and a physician to provide them with the necessary treatment and educate their families on how to manage the disease at home. As an industry leader and a socially responsible corporate, Mercedes-Benz is continually seeking opportunities to further give back to the community where it operates. By offering Home Care for children in need, Mercedes-Benz and the Children’s Cancer Hospital 57357 are providing treatment to a bigger number of children saving hospital beds to critical cases and also saving the lives of Egyptian children that are among the most vulnerable. Corporate social responsibility isan integral component of the Mercedes-Benz philosophy around the world. The company’s long-term commitment to Egypt includes providing support for those in need throughStar Care Egypt. The initiative was founded by members of the Mercedes-Benz passenger car group in Egypt in order to proactively promote and encourage public interest in supporting and helping children in need. The corporate social responsibility program focuses on various projects to ensure the well-being of children with an emphasis on medical care and education. Whether through direct support or in cooperation withprofessional and specialized organizations, Mercedes-Benz has been working to make a difference in helping build a better community by extending a helping hand to underprivileged children. 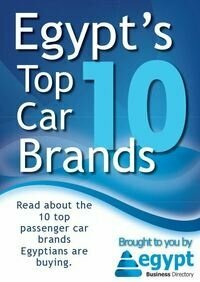 More from Mercedes Benz Egypt S.A.E. Who are China's biggest car exporters and why should Egypt care?